The Place to Be explores past and present public spaces in Knox County, Ohio and the changing character of public life in rural society. 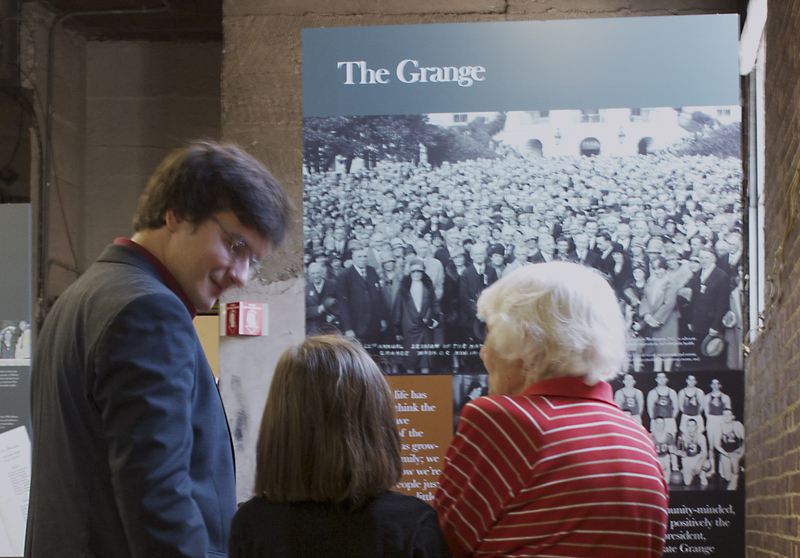 The exhibit draws upon stories collected from area farmers, businesspeople, grange members, sports fans, restaurant patrons, librarians, civic leaders, and church members to explore the meaning and significance of public life for Ohio’s rural communities. This exhibit thus comes at a crucial time in the area’s history. The recently published county plan, FOCUS 2100 Advanced, establishes the community’s desire to maintain its rural character in the face of accelerating development. The county seat of Mount Vernon, once the center of commerce and public life, has declined as large chain stores on the town’s periphery have displaced family owned businesses in the historic downtown. Beyond its economic impact, this change has altered the character of public social exchange and with it the fabric of rural life. Documentary efforts began in the fall of 2011 in conjunction with a Kenyon College seminar, “Fieldwork: Rural Life.” Intensive fieldwork provided the foundation for a thirty-panel exhibit that debuted in Mount Vernon in May 2012. The enormous success of the debut prompted Mount Vernon City Council to request that the exhibit be placed on permanent loan in the city. Fifteen sites—a restaurant, library, city hall, hospital, and businesses—will house individual panels. In this way, the exhibit will constitute a walking tour of Mount Vernon, bringing residents and visitors downtown and connecting them to local history.